If you've ever tried to clip a cat's claws you know it's no easy task. I've actually even tried wrapping our cats in a blanket before to keep them from getting away. Didn't always work, but it helped. 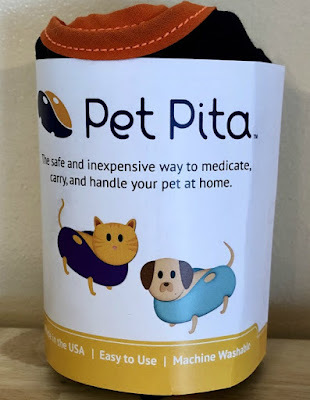 Thankfully now that we have a Pet Pita on hand I don't have to fumble with that blanket anymore. 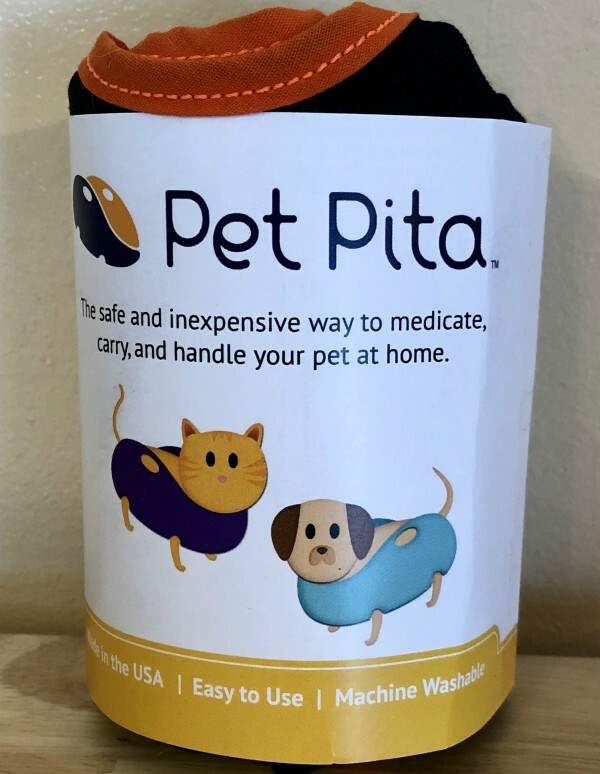 With our cats held steady in the Pet Pita we area able to clip their claws with so much more ease. One of us holds the cat while another gently clips each nail. It's also great for accessing the backs of their necks to apply flea medication. It keeps them still and doesn't allow them to shake and possible cause the medication to go all over. I am loving this thing! The Pup Peta is designed for your elder large dog. This Pita allows you to lift and support either the front or rear hips and legs. Ideal for older dogs with hip dysplasia. with 4 cats this has my interest. I'm definitely going to give it a try!